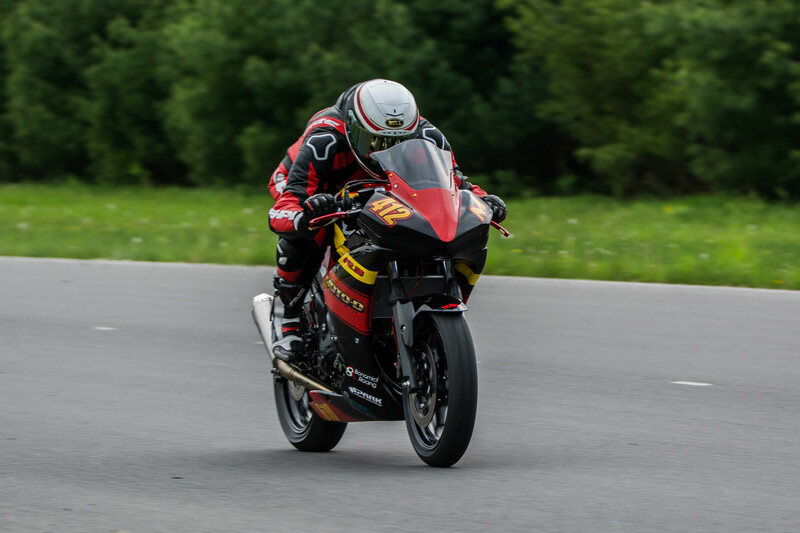 New York Safety Track is a closed-course motorcycle training and trackday destination in Harpersfield, NY. 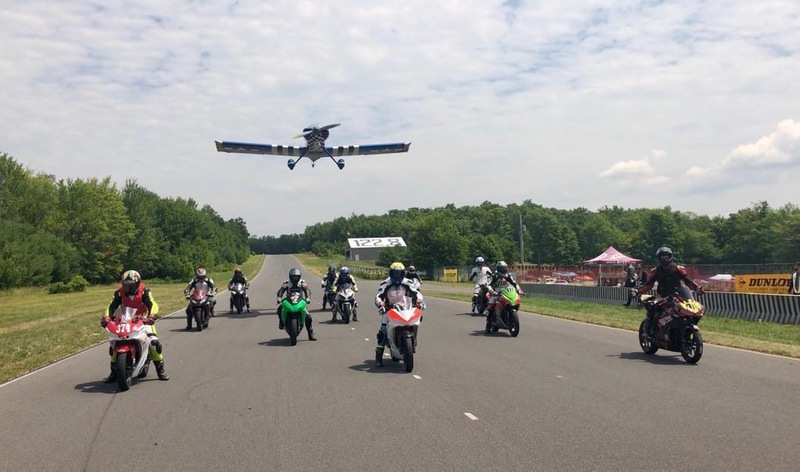 It is a 2.1 mile trackday heaven for sportbike riders located on top of a mountain that is still an active airport. READY, SET, GO! 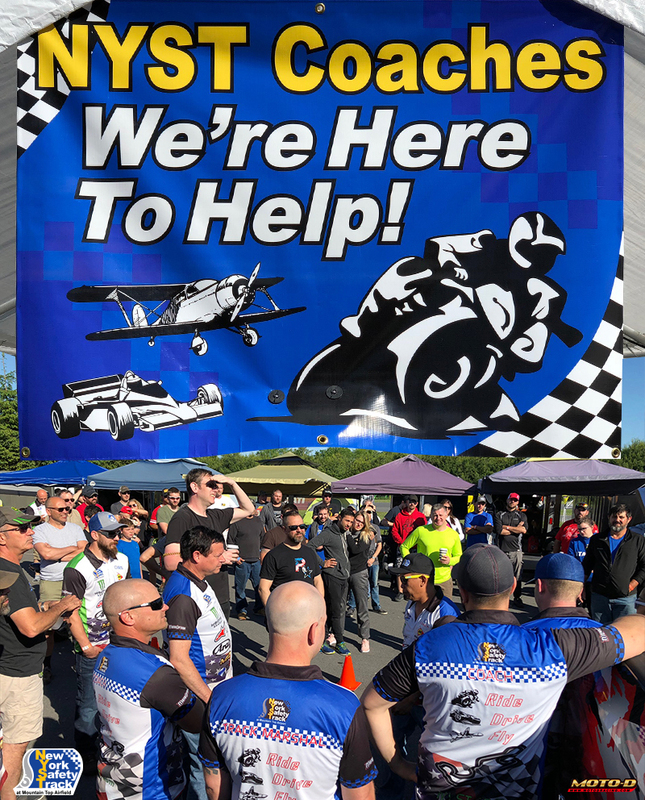 There are motorcycle trackday courses all over the country and most are a good time but what separates NYST from the rest is more than a great track, it's the owners who ride and the racers who come from all over the Tri-State area to have a great time! Slow down on Route 23 as you get to Parker School House Road and head up to the track located at Mountain Top Airport! 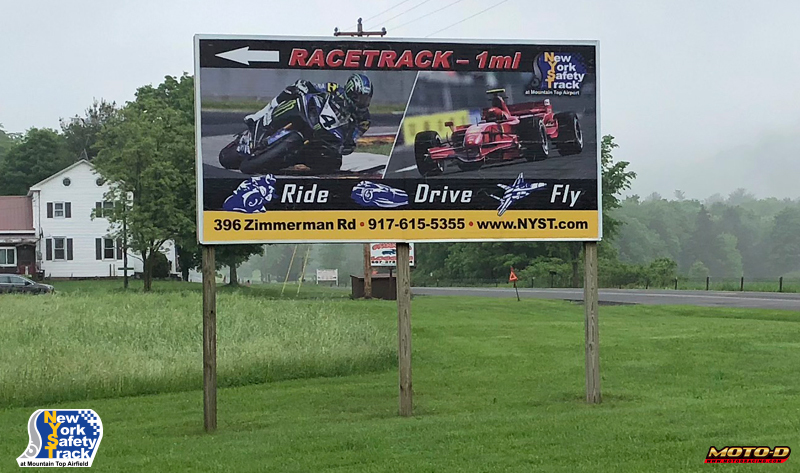 Once you see the NYST billboard you are just 1 mile away from the FUN! 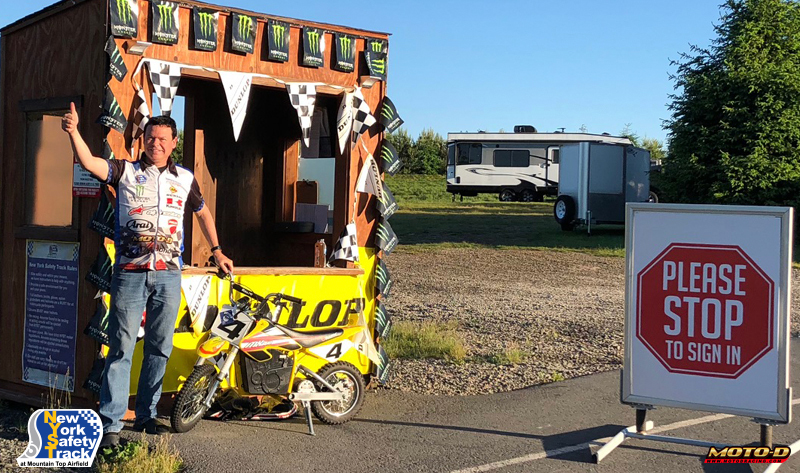 Coach Britton is at the gate till 10pm nightly before trackday events welcoming everyone and making sure they are informed on the weekends upcoming festivities and riding calendar! Riders Meeting at 8am! Time to gather around the Tech & Registration Table to say hi to all of your friends, staff, coaches, and to hear about the track rules and requirements to make the day safe. Track goes hot at 9am. "We have the best coaches and they are all here for you" says Greg of NYST. 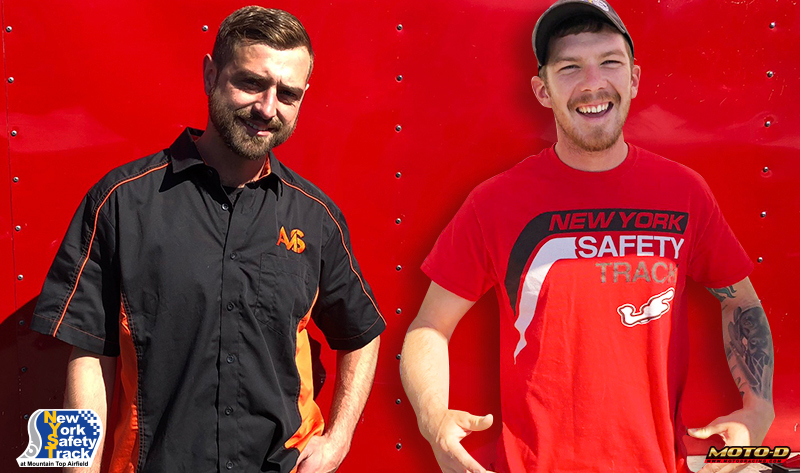 Not only does New York Safety Track have a great coaching staff but the owners ride with you so your happiness and safety are of the utmost importance! Trevor is getting ready to ride although normally you will see him on the starting line as he is the NYST Track Marshall, don't go until he waives you out! NYST Coach Dan (aka Blackbeard Racing) is getting his Kawasaki ZX-10R ready. Paul and Alex just got off their matvching R3's are are planning tonights dinner...Deep Fried Bacon Wrapped Goodies! 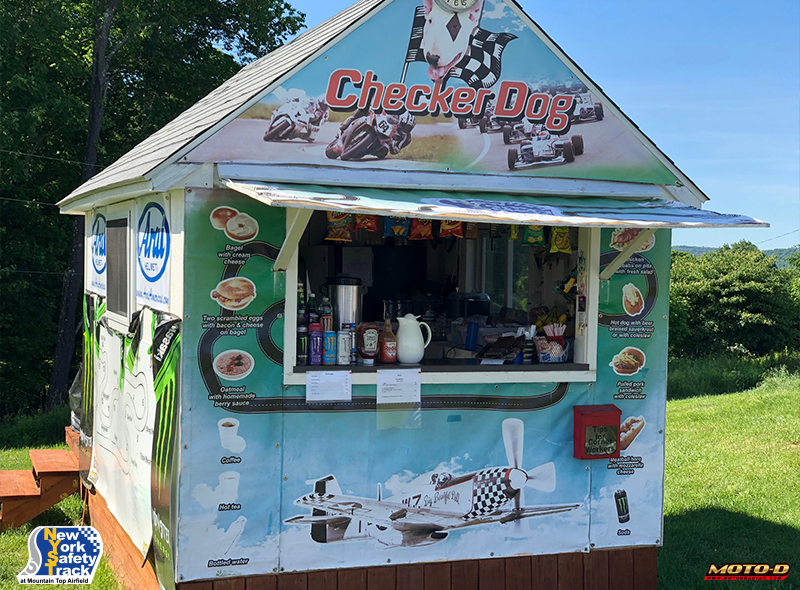 Head over to the Checker Dog for a gourmet breakfast or lunch! 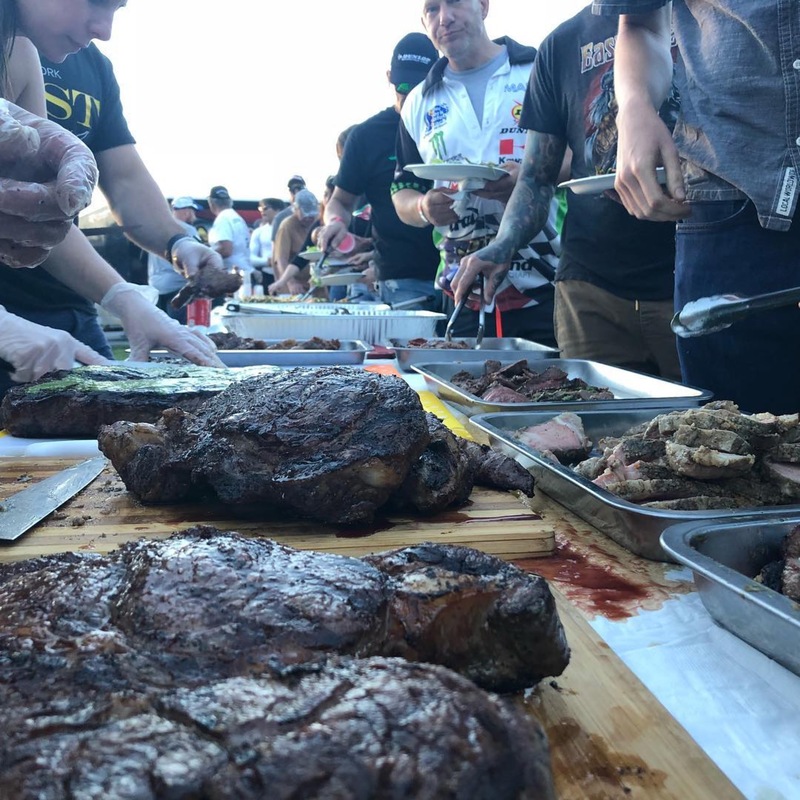 From Doritos to Monster Energy drinks, riders at NYST get to enjoy a full service concession stand with sandwiches, snacks, cold drinks, and more. While you're waiting for your order, check out the NYST Track Map on the side of the stand so that you'll be ready when your session is called. Matt has his eyes set on the 300 series podium. Coach Jake and (Future Coach) Jaxon are checking out all the cool bikes in the paddock. Big Chad just wants to ride. 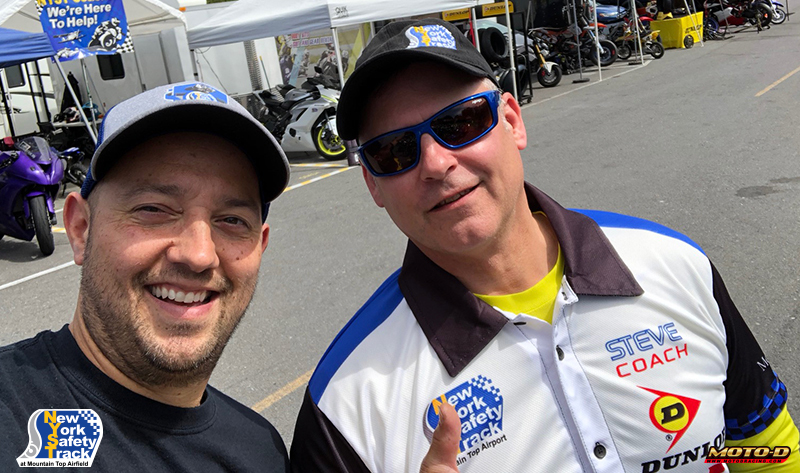 Scott from MOTO-D and Coach Steve are living the NYST Paddock Life - oooh it's so sweet! 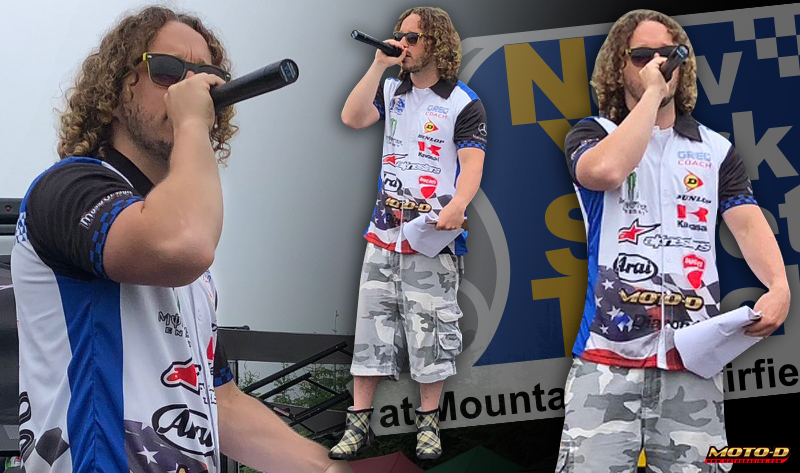 Will from Alliance Motorsports is your NYST Suspension Guru who can help set your bike up to meet the tracks demanding course. Need tires installed? Call Joe from NYST who is on-site with a load of tires for sale plus air vests and MOTO-D gear, he is in the Tire Shed across from Tech & Registration Table ready to assist! Did someone says it's Christmas at NYST? Pig Roast? These are amazing events, take it from the Gomez's....DO NOT MISS! Jason (aka Slim) is suited up and ready to go. What's up Party Animal Mitch. Hey Joel, "Suns out Guns Out". 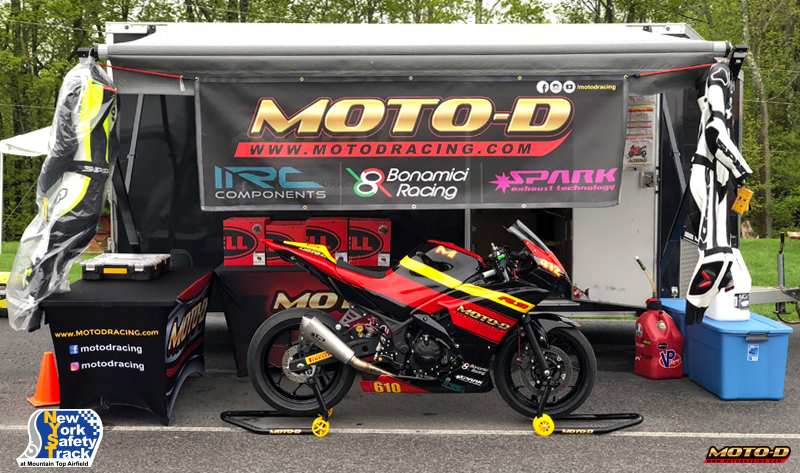 NYST Parts powered by MOTO-D Racing is on-site next to the Tech & Registration Table with a great selection of Tire Warmers, Stands, Bonamici Rearsets, Spark Exhausts, Racing Leathers, Helmets, Gloves, Boots, Back Protectors and More! Heather is getting ready to rip around on her cool Moriwaki race bike! Ruben is representing Yamaha and his R1 is super nice with lots of Carbon Fiber goodies. Jenn is a super fast rider and her man Alfonso likes it like that! 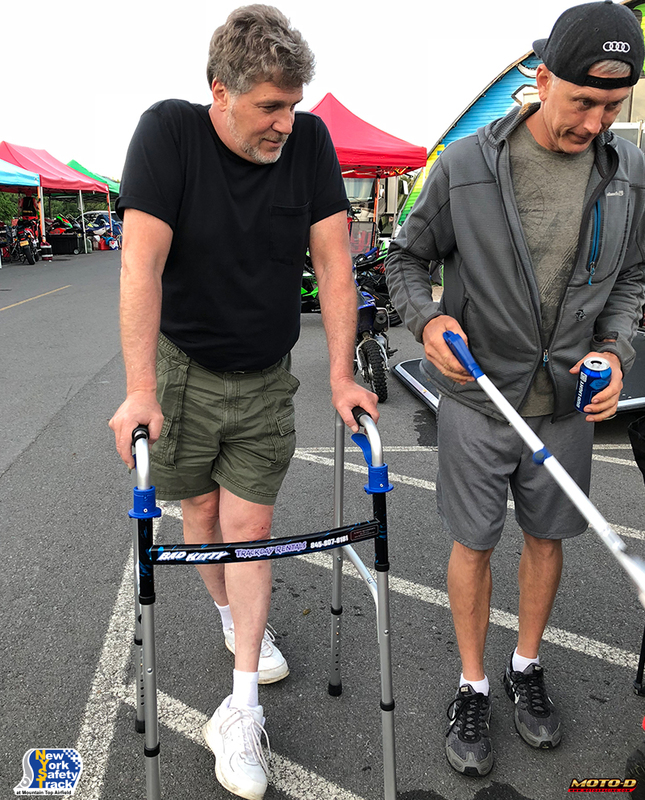 Pete from Fly Kitty Wheelchairs, ooops we mean Motorsports is getting riders on the track with his fleet of GSX-R 600's that are for rent with experienced trackday riding instruction. Rusty is trying to grab Sarah's tail section with the reacher, hehehe. Big Joe can take you on a plane ride but you better not touch his Panigale. Coach Charlie is Spreading Some Cheer. Cosmo is checking out his bikes and hoping they are ready to ride. Nate (aka Mayor) is ready to share some riding wisdom. Coach Britton is feeling good becuase his Honda CBR 600 is fun to ride. Coach James is happy because he just helped a rider get bumped from Novice to Intermediate. 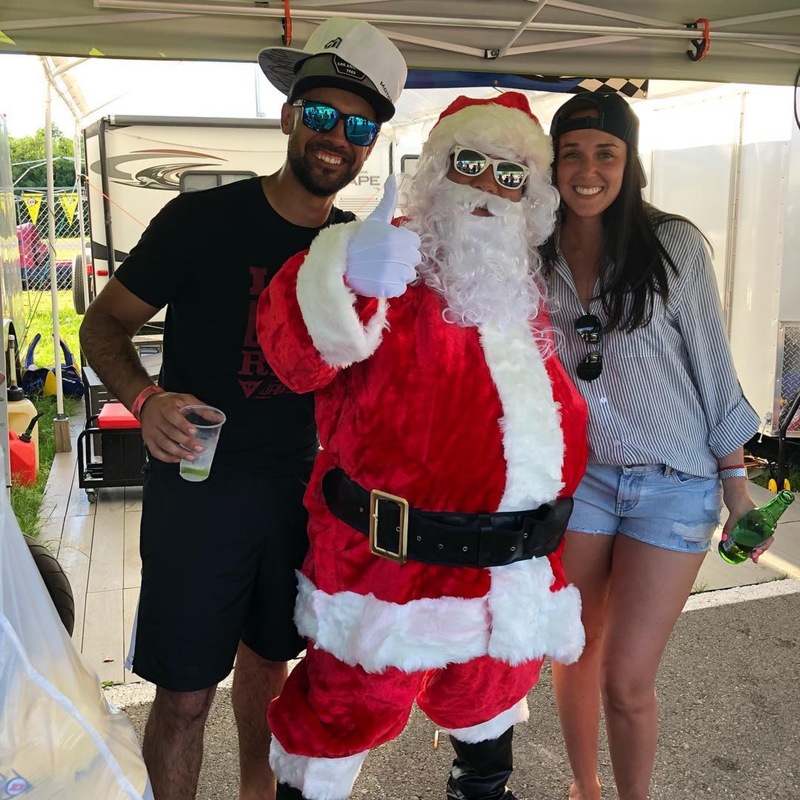 Lana and Greg are riding around the paddock making sure everyone is having a great time! Coach Matt is checking bikes in at tech. Coach Patrick can show you the fast line. Anthony is getting ready to jump on his Supermoto. Bryan from 572 Creations will capture great photos of your trackday! Coach Mike has super smooth lines, try to follow him and you will see. Scott used to ride cars but now loves bikes. Jen, Terry, and Dani are just relaxing before their session begins. It's 5pm and the trackday is over, time to meet up and start tonights BBQ! Lets Turn Up some Good Music and Celebrate a Great Day of Riding! It was a Silly Good Time! 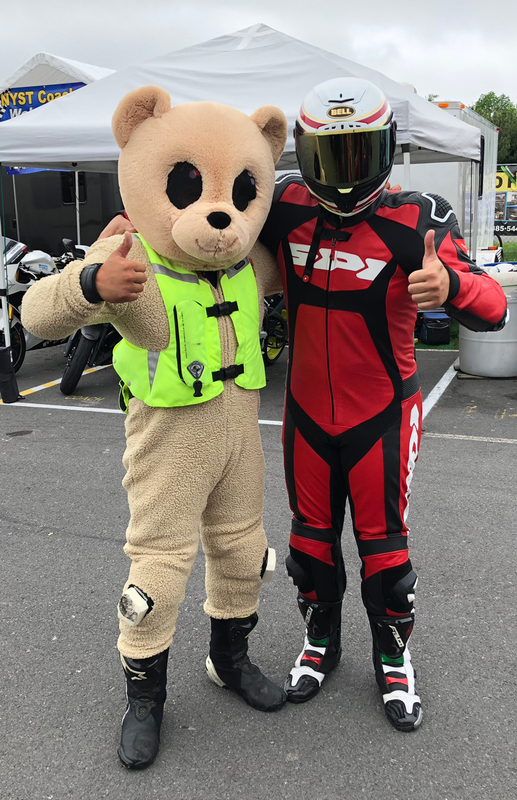 Some Come Ride with (our event calendar here) MOTO-D and Friends at New York Safety Track and See How Much Fun It Is! To signup for the next trackday visit www.nyst.com and mention "MOTO-D".